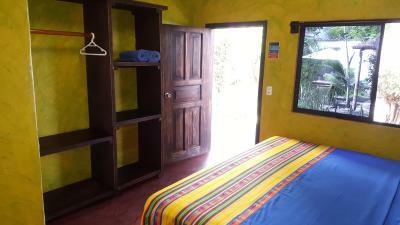 Lock in a great price for Hostal Galapagos Morning Glory – rated 9.5 by recent guests! Excellent friendly service.Great atmosphere and nice breakfast. Comfortable “homey” environment. Owners were very attentive, helpful, accessible. It also helped they spoke good English. I wish I could give Morning Glory an even higher rating. The location: convenient to everything but like an oasis, it is quiet and peaceful. The staff: the owner Marco is easy to find and he will go out of his way to help you. Excellent suggestions on what to see and where to eat. They will do laundry for free and it's ready in just a few hours. Your room is cleaned daily. The breakfast is great. The room: lots of hot water. Basic but comfortable. The price: reasonable. Best hostel we stayed at on the islands (we stayed at 5). 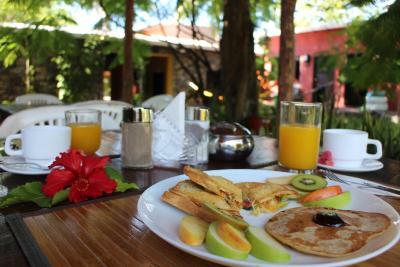 Place has a great relaxed atmosphere and the included breakfast is better than we expected. The best thing is the owners especially Marcos who is a great host that is very helpful and it they really seem to be investing in the place and it shows. The proprietor Marcos and his sister were extremely accommodating and helpful in every way. I felt like I had a friend on the island, ready with tips, recommendations and perfect English. The beds were comfortable and the breakfasts were good. The staff was helpful and welcoming. The AC was extremely welcome and the location is great! The staff was excellent and very friendly. The location is far enough away from the center of town to be low key, yet close enough (a few blocks) to make restaurants, etc. accessible. Awesome art and friendly staff. Very accommodating and allowed us to leave bags after checkout until our ferry. The owner was excellent! He gave me great tips for my day trips and was very welcoming. It felt like a home away from home. The hostel was clean and the breakfast was different every morning. Overall the hostel exceeded my expectations! Excellent location. Marcos was extremely helpful and gave us excellent advice. Guests will enjoy of comfortable accommodations with a patio. 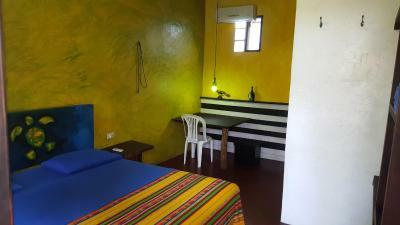 The full bathroom includes free toiletries, plus linen and a fan are also available. Hostal Galapagos Morning Glory also features a garden and a bar. 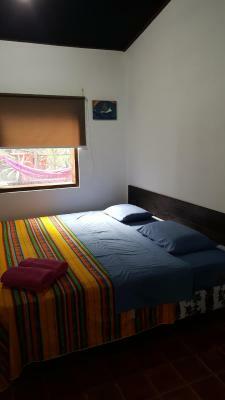 Guests can relax in the common use lounge featuring hammocks and a TV, plus receive help from the friendly staff regarding popular touristic spots and sightseeing. The Fish Market is 450 feet away from the property, while the Charles Darwin Research Station is 3,100 feet away. 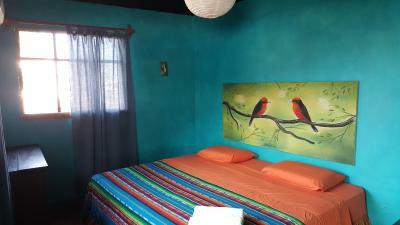 When would you like to stay at Hostal Galapagos Morning Glory? 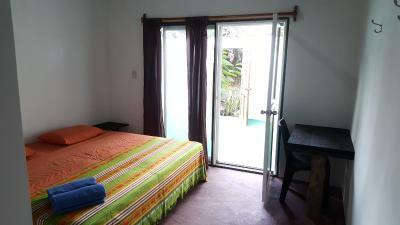 This single room features air conditioning and patio. 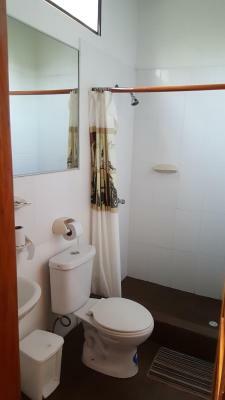 It also offers a private bathroom. 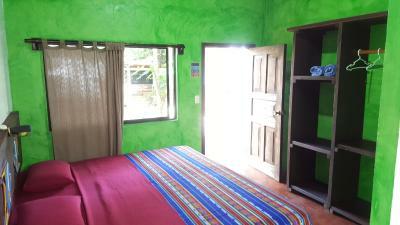 House Rules Hostal Galapagos Morning Glory takes special requests – add in the next step! Please note all payments must be done in cash. Wifi only near the reception. Daniel and Ruth were so lovely and helpful during my stay. The place is family owned and is well kept. In a good location near shops and restaurants. Highly recommend! Best service we ever had! Very friendly staff, helped us out with tips, free snorkel rental, free laundry service, tips about what to do on the lovely Galápagos Islands and more. 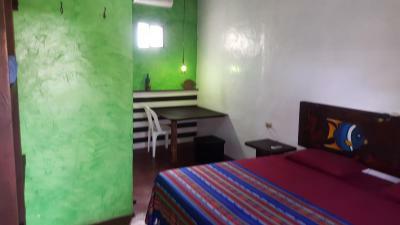 Rooms are comfortable, good air conditioning, nice bed and warm shower. The place has a nice patio. Location is perfect, in walking distance of everywhere you want to be. Would definitely go back. Thanks again Marcos and your lovely family. We can't think of a single thing that disappointed us. The shower hot water is hit and miss but this is more of a general issue with the island at this price range, so I am not that disappointed. The room amenities is basic. It would be awesome if they had a mini fridge or TV. The proximity of each room with the outdoors meant some loud noises at night which kept waking me up (rain, animals?). The art in each room, the cozy atrium-style common space and the attention to detail was beautiful. So unassuming and unexpected from the outside. Great location, they let me stay past checkout time to freshen up before leaving for my flight, they organized my great taxi, and charged less for the room in the end than was on my booking confirmation. Highly recommend. 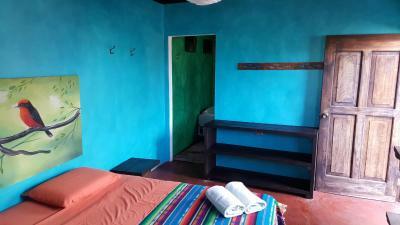 Fortunate, I had an excellent 5-star, enjoyable 4 - night stay in Galapagos Hostel Morning Glory. 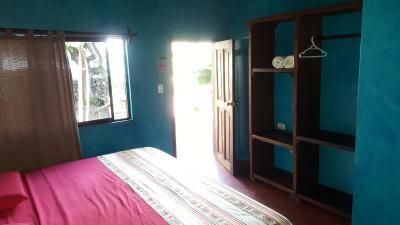 Perfect,central location, super comfortable, spotless clean room. They did the room cleaning everyday and I had new towels, new pillow cover and new bed cover daily. Delicious breakfast (one day, we even had organic home grown sweet melon!) in a nice garden. Free laundry service/hanging clothes area in the inner courtyard. The owner, Marcos was professional, very friendly, supportive, helpful, accommodating, a happy, geat host.He adviced and explained every question I had for enjoying Galapagos. Marcos's beautiful, friendly niece was a great host. The cleaning lady was nice, too. Definitely, I will stay here if I am in Santa Cruz Island. Highly recommend staying here!THANKS for the great hospitality! 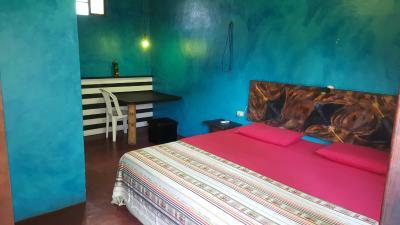 Fortunate, I had an excellent 5-star, enjoyable 4- night stay in Galapagos Hostal Morning Glory. 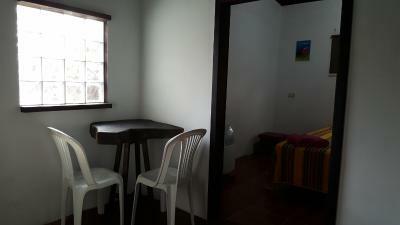 Perfect,central location, a super comfortable, spotless clean room. They did the room cleaning everyday and I had new towels, new pillow cover and new bed cover daily. Delicious breakfast (one day, we even had organic home grown sweet melon!) in a nice garden. Free laundry service/hanging clothes area in the inner courtyard. 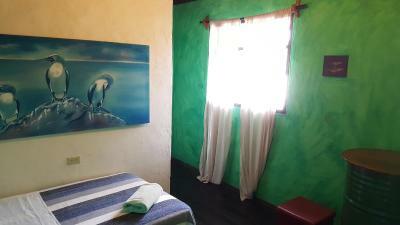 The owner, Marcos was professional, very friendly, supportive, helpful, accommodating, a happy, geat host.He adviced and exlpained every question I had for enjoying Galapagos. Marcos's beautiful, friendly niece, Becky was a great host. The cleaning lady was nice, too. Definitely, I will stay here if I am in Santa Cruz Island. Highly recommend staying here!THANKS for the great hospitality! 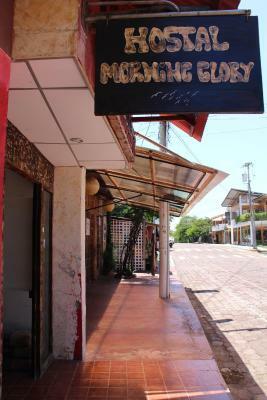 Even though we got sent an email with very clear instructions it was still a mission to spot the entrance to Morning Glory- only establishment without loud “look at me” banner may be the reason or may be because only establishment with black board with white writing as name plate? Loved everything about it... very tranquil setting incuding breakfast in the garden under shaded trees with birds chirping all around. The air con in my room is a little bit loud but that didn't bother me as ) i'm a heavy sleeper and slept through it b) its not a massive issue when everything else is exceptional! Marcus the owner of the Hostal is a great guy. He will always do his best to make you feel comfortable and at home. My room was clean with all the facilities necessary. The Hostal offers free laundry service which is great too! I stayed there one night as I was heading to another Island the following morning. Marcus let me leave my bags at the Hostal for few days and offered to have my laundry done! On return from the island, I passed by the Hostal to repack my bags for the next Island. I arrived just after 9am when breakfast is finished. Rebecca (Marucs niece) was so sweet and let me have breakfast. She prepared full breakfast for me and let me hang around the Hostal for a few hours before my boat to another Island. 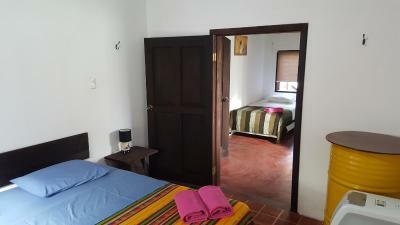 I return back to the Hostal tomorrow where it is fully booked but Marcus kindly offered me a spare, family bedroom to stay for a discounted price as he knew how much I love the place, including breakfast too! I also left is for Marcus to book my airport transfer etc. 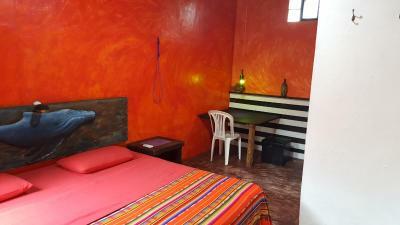 This is a family run Hostal which is in the heart of Santa Cruz. Everything is on your doorstep. Despite, I only stayed there one night and have another night to come, I HIGHLY recommend this Hostal. I LOVE IT and wish time allowed me to stay longer!